Vienna Instruments Pro, Virtual Orchestral Instrument from VSL (Vienna Symphonic Library). VSL has updated Vienna Instruments PRO to v1.0.7553, Vienna Ensemble and Vienna Ensemble Pro to version 4.1.7553 and Vienna MIR to version 1.2.1826. Mac OS X: Fixed bug causing validation error. Added automatic channel focus on MIDI activity feature. Fixed Ctrl-click on mixer strip arrow not (un)folding all mixer strips. OS X: Fixed Magix Vandal AU showing a blank editor when used as insert effect. Latest Version of VI PRO updated. Nomad Factory Magnetic 1.3 & Price Drop Nomad Factory has updated the Reel-to-Reel Audio Tape Warming plug-in, Magnetic, to version 1.3 and announced that it will be sold now for $129 instead of $199. Ametrine Audio Adventure in Waveforms Ametrine Audio has released Adventures in Waveforms, a new Expansion Pack for Ravernator and Wusik Station (5.8.4 or higher). 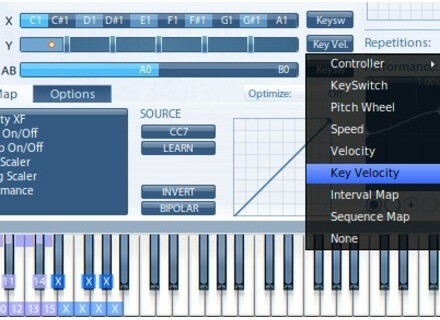 Kreativ Sounds SYN Minimoog V Sounds Kreativ Sounds has announced the release of SYN Minimoog V Sounds, a collection of 64 presets for Arturia's Minimoog V software synthesizer and also for Native Instruments' KORE 2.